The electronic walker acts as a "virtual physiotherapist," encouraging a patient to be as active as possible and assessing how exercises have been carried out. It is fitted with technology that enables it to issue voice commands to its patient, persuading them to complete regular activities like going for a walk, gripping, standing and balancing, then assessing their performance. It's also a walking companion; travelling with its patient as they walk prescribed distances, to monitor progress as well as offer physical support if it's needed. 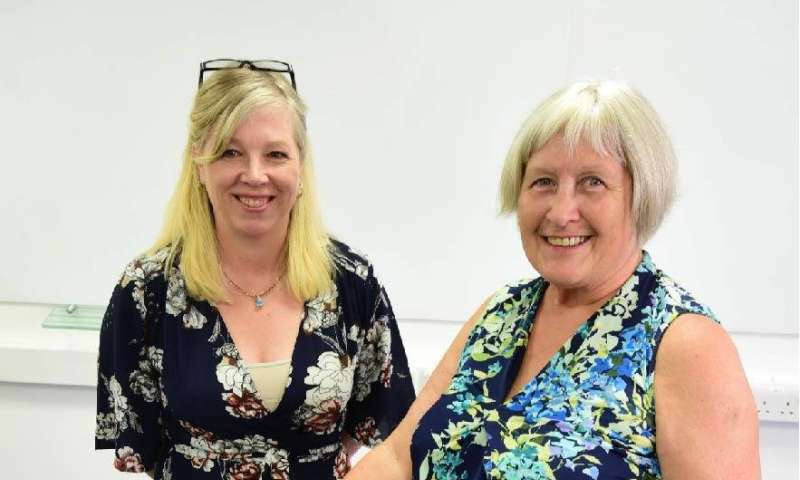 The development of the frame is being supported by a team from Northumbria University's Psychology and Communication Technology (PaCT) Lab, as part of a wider European project to design technology that can support our aging population. It has been designed to be initially used in hospitals, where it would stay by the patient's bed to encourage them to complete regular mobility and strength exercises—meaning they could potentially leave care earlier. It can also assess how the patient has performed, and make adjustments. Assessment data gathered by the walker can then be fed back to the care team monitoring the patient's progress. This provides detailed data of walking patterns or gait that would allow the care team to assess if the patient was at risk of future falls. Professor Lynne Coventry, Director of Northumbria's PaCT lab, explains: "Mobility is a critical factor when it comes to the aging process. Reduced mobility can have a serious impact on health, and once an older person gets to a certain level of immobility, their decline can really accelerate. "This technology aims to help maintain the mobility of older adults, by understanding what goes wrong if they have a fall, encouraging them to be physically active as much as possible, or helping to prevent falls in the first place. The frame will also help physiotherapists to understand the physical motion of older adults as they're walking and establish if they have any problems. It can also help physiotherapists to administer tests and to set exercises for patients to do on daily basis to keep them on their feet." Professor Coventry added: "In the design, we've added a persuasive element to encourage the patient, so the walker will wake up and send a message that it's time to go for a walk. We're also able to add in goals that the walker can encourage the patient to complete. 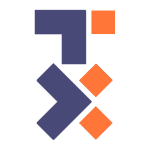 It's a great companion for the patient to have, and feedback so far from our testers has been really positive and encouraging." She said: "This is exactly the kind of thing I need to keep me moving. It means I don't have to rely on a professional; instead it can guide me and cope with me being variable in my condition and mobility – which is a big thing. Keeping active is really important, but as you get older that becomes more difficult. This frame could encourage and enable you to keep on your feet and also hopefully keep your pain levels down as it adjusts with you." 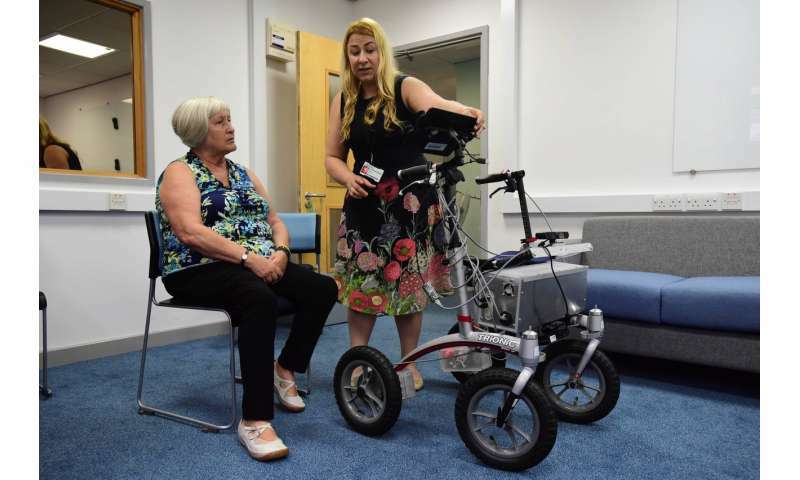 This particular walker developed by Northumbria University is part of a larger European Union-funded research project—called ACANTO—exploring how technology can help to address the challenges of ageing and encouraging older adults to be more active through social and cultural engagement.